MODUS is a state-of-the-art, modular platform for robust, reliable and effective management of air quality data. 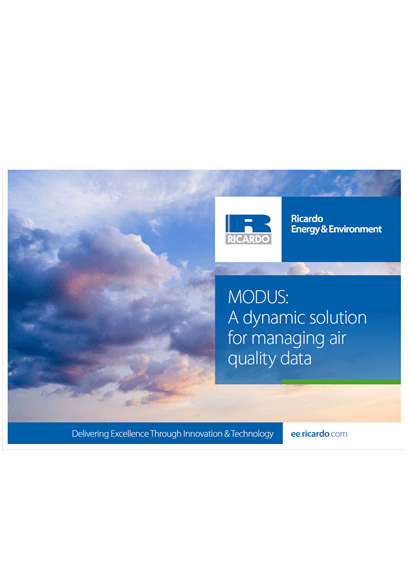 The MODUS system provides you with comprehensive workflow management tools covering all air quality data management tasks – from automatically importing data from measuring instruments in near real-time through to data scaling, validation and dissemination, including automated distribution to websites and mobile applications. MODUS delivers powerful and user-configurable tools for data reporting, analysis and interpretation. These can be tailored to the needs of specific stakeholders – be they city or board-level decision makers, network managers or regulatory bodies. 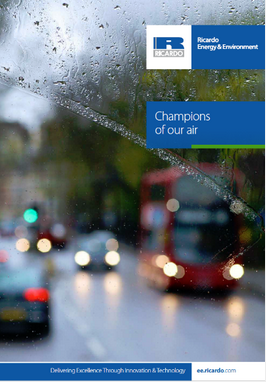 MODUS ensures that air quality data are available when required and where required, and to defined quality standards. The system enables you to implement best practice quality assurance procedures, providing value and confidence in data – critical where air quality data are to be used to support decision-making or demonstrate regulatory compliance. MODUS allows high volumes of data to be managed through real-time data analysis screens, custom workflows and user-configurable task-allocation options. This means final datasets and associated analysis, reporting and interpretation are delivered to deadlines and defined quality standards – and are supported by a transparent audit trail. MODUS is highly scalable, making it the ideal solution for local, regional and national measurement networks – capable of managing billions of data points every year from hundreds of measurement stations. Clients include the UK Government; the devolved administrations in Scotland, Wales and Northern Ireland; and the Government of Gibraltar. MODUS is used to deliver data analysis for major cities including Riyadh and London. It is fully compliant with reporting requirements across the globe, including US Environmental Protection Agency and EU regulatory regimes, with the flexibility to configure the solution to meet user needs. Ricardo also offers clients the option of a fully managed service, which means our team of air quality experts looks after network data from initial generation to the production of bespoke analysis, interpretation, reporting and dissemination. 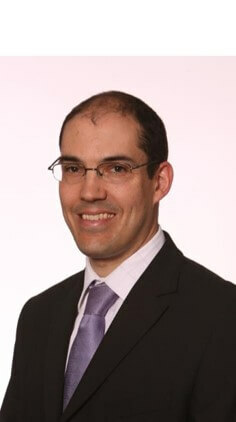 MODUS has been developed by Ricardo, a company certificated to ISO 9001 and ISO 14001. Quality assured – employs advanced data analysis tools and functionality to support rapid checking, verification and validation of large volumes of measurement data. Demonstrable transparency – data changes and user activity are systematically logged, giving clear and traceable audit trails, and providing ideal evidence logs for use in compliance assessments. Tailorable data collection frequencies – data collection frequency and timing can be programmed to meet user needs, with full flexibility to increase data update frequencies at times of pollution episodes. Bespoke, client-focused reporting – MODUS delivers powerful, automated reporting that can be tailored to suit specific stakeholder groups. Near real-time data and system updates – near real-time system status updates coupled with verified data uploads to websites ensures the latest high-quality data, accurately reflecting ambient levels and concentrations of air pollutants. Regulatory compliance – MODUS can be tailored to regulatory regimes, which provides reporting against a wide range of environmental quality standards, limit values, thresholds and targets. Accessibility – validated data can be accessed through several channels including tablets and smartphones, which means information is accessible when and where it is needed –anywhere in the world. Prompt exceedance alerts – MODUS provides configurable concentration threshold alerts that can be sent to user-specified stakeholders via a number of methods such as email, text messages (SMS) and mobile application alerts. Smart maintenance – automatic system checks generate maintenance alerts, which minimises system downtime and maximises data capture. 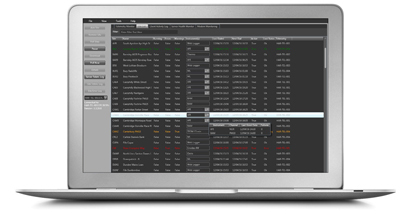 Automation – configurable workflows and alert triggers save time and resources. Flexibility – solutions can be tailored to individual client needs. Scalable – a modular design enables simple expansion as monitoring networks evolve over time. Measuring and managing air quality in Riyadh, the capital of Saudi Arabia. 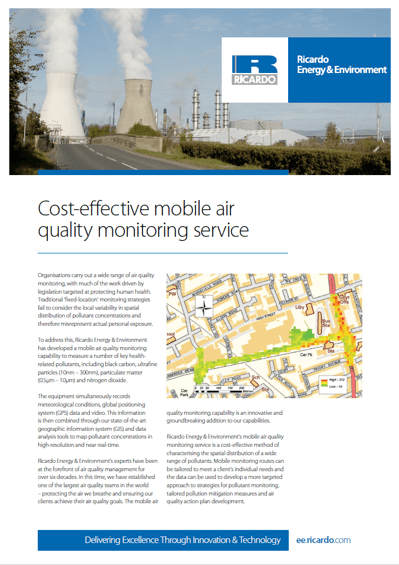 Providing quality assurance and quality control services to the UK’s national air quality monitoring network. City-level air quality management in Gibraltar.